Now you will be able to see all of Vermeer’s works in just one place. Just you need to download the app for this. Yes, you will be able to see the full works of 17th-century Dutch painter Johannes Vermeer, for which you will need to whip out your phone. As The New York Times reports, Google Arts and Culture are working together with the Mauritshuis museum in The Hague, Netherlands to create a virtual museum, which is named Meet Vermeer, where you will be able to see all of the painter’s art in just one visit. The Mauritshuis Museum has always been a home to Vermeer’s most famous painting, which is Girl with a Pearl Earring, but the artist’s other work is also held in museum collections around the world. The Meet Vermeer app actually draws high-resolution photographs that are contributed by 18 different museums and private collections mainly for creating an augmented reality exhibit of a wide range of Vermeer’s work. The list of institutions which participate include the Louvre, the Metropolitan Museum of Art, the National Gallery of Art in Washington, D.C., the Rijksmuseum in Amsterdam, and the Frick Collection in New York City. 1 What is Meet Vermeer App? 2 How to install Meet Vermeer App on Android? What is Meet Vermeer App? The virtual museum actually tends to bring together many of Vermeer paintings in one place than any physical museum could possibly think of offering. Also, many of the centuries-old paintings are too fragile to travel. Some of the paintings can’t be seen in person like the Isabella Stewart Gardner Museum submitted an image of a painting called The Concert that was stolen from its collection in 1990. 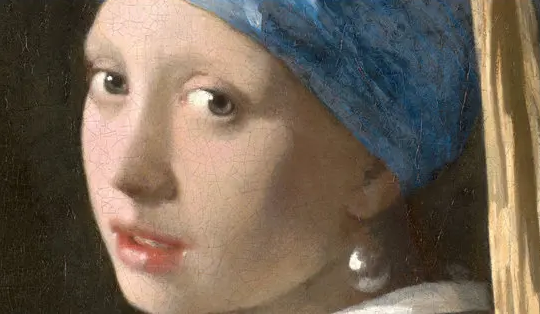 Also, it has been news that Four of Vermeer’s paintings have been stolen from museums since the 1970s, though the other three have since been recovered. Vermeer scholars have been able to authenticate 36 different paintings from the artist, though he must have painted closer to 45 during his career. Some paintings that the majority of Vermeer scholars agree on are included in Meet Vermeer because the origins of the remainder are still held up in the debate. How to install Meet Vermeer App on Android? If you want to view the 3D walkthrough of the exhibit, you will need to download the Google Arts and Culture app. Then you can click on the “Meet Vermeer” exhibit and then navigate to the augmented reality feature. Here click “get started” tab “The complete work in augmented reality.” From here, you will also need to move your phone around in space a bit to get the app-oriented to your position. Now very soon, a miniature, the roofless museum will show up on your screen. Just tap to enter the museum and move around the galleries, where you will be able to see Vermeer’s paintings hung on the virtual walls. Now move your phone to look around and double tap the paintings to zoom in and get more information. The app is great and gives you a real Museum visit experience. Therefore, if you are an Art person, then this app is definitely for you.